Dr Yuan Zhang received the M.S. degree in Communication Systems and Ph.D. degree in Control Theory & Engineering both from Shandong University, China, in 2003 and 2012 respectively. He is currently an Associate Professor at University of Jinan (UJN), China. Dr. Zhang was a visiting professor at Computer Science Department, Georgia State University, USA, in 2014. As the first author or corresponding author he has published more than 50 peer reviewed papers in international journals and conference proceedings, 1 book chapters, and 6 patents in the areas of smart health and biomedical data analysis. He has served as Leading Guest Editor for five special issues of IEEE, Elsevier, Springer and InderScience publications, including IEEE Internet of Things Journal special issue on Wearable Sensor Based Big Data Analysis for Smart Health, and has served on the technical program committee for numerous international conferences. Currently he is technically chairing the Third International Workshop on Big Data Analytics for Smart and Connected Health ( http://bigdata4health.org/), an event co-located with IEEE/ACM CHASE 2018. He is an associate editor for IEEE Access. Dr. Zhang’s research interests are in smart sensing system and mHealth, currently focusing on wearable sensing and big data analytics in healthcare domain. His research has been extensively supported by the Natural Science Foundation of China, China Postdoctoral Science Foundation, and Natural Science Foundation of Shandong Province with total grant funding over 1.4 million RMB. 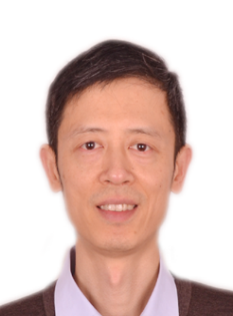 Dr. Zhang is a Senior Member of both IEEE and ACM. For more information, please refer to http://uslab.ujn.edu.cn/index.html. Presently the biomedical data (signals and images) collected by wearable sensors in the smart devices allows them to benefit in various fields, however, the diverse nature of biomedical data also makes it challenging to process those ‘Big Data’. Traditional algorithms do not offer flexibility to handle such large volumes of diverse data and that creates a need for proper machine learning approaches for data analysis to be able to keep up with the processing and diagnosis requirements. In this talk I will introduce part of our recent research progress with two topics that combine wearable sensing and machine learning algorithms for smart health. Some of our most recent international collaborations will also be highlighted to build up future links with the colleagues.